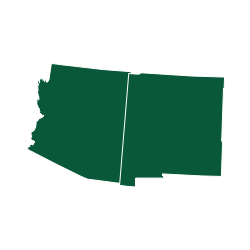 Rim refers to the Mogollon Rim that extends nearly 200 miles from just southwest of Flagstaff to the White Mountains of eastern Arizona. The Mogollon Rim marks the southern edge of the Colorado Plateau and is thousands of feet high in some areas. The average elevation of the rim is about 7000 feet and the area is known for its ponderosa pine forests that form the largest stands of this tree in the United States. The recreation area encompasses the following lakes: Bear Canyon, Black Canyon, Woods Canyon, Chevelon Canyon, Knoll, and Willow Springs. You'll find a wealth of established campgrounds with facilities and even more opportunities for dispersed camping. Most of your destinations in this area do not require 4x4 but it'd be very wise. It will take a lot longer to get to where ever you're going and you won't be able to explore quite as much. In rain or snow, it's likely you'll get stuck. So, if it's an option, take the 4x4. Hiking and photo opportunities abound! You may be the only one around so be prepared.